Happy Friday Everyone! This is my last #littleloves round up before we leave for the states. I know you all are probably so sick of hearing me talking about our upcoming summer but I truly can’t wait to just hug my momma and be home for awhile. My next round up will be state side. I am mostly excited with the kids being older and seeing more of where mommy is from and meeting more extended family this time. We have a few milestones coming up while we are away both kids have a birthday celebration, fourth of July, and some mini trips while we are there including a weekend in Las Vegas. Whoop Whoop! These past two weeks I don’t think I have ever been so exhausted, overwhelmed and busy in my life. I had no idea how many special days B was missing over the summer for starting school so we have had to do them all this week, on top booking someone to retile our kitchen and bathroom while we are away (first one was all set and cancelled on us grr) and packing and working right up until the day we leave really wasn’t ideal but just means when we land it will be a great two weeks off when we first get there. I enjoyed meeting B’s teacher and seeing where he was going to school and what his daily routines would be. He absolutely loved his classroom and I am not at all nervous about him starting. What I wasn’t prepared for was getting so emotional saying goodbye to nursery staff and friends. His very last day of nursery was last Thursday. The kids all sang a goodbye song, made him a card with their hands in paint, and the entire nursery waved in all the windows as we pulled out of the drive way. Talk about pull at my heart. I would have been fine otherwise and kept the emotions inside but kids have a way of melting me. B waved back franticly saying seeing you at big boy school not understanding no one else is going to big boy school with him. What a milestone to pass and I had to then go back to nursery two hours later for parent’s evening and read his book. I went to bed emotionally drained but excited for the next chapter in my little boy’s life. Some of you know or have seen on my instagram that we are doing some major changes in the LTM household. I can’t wait for our new tile especially in the entire downstairs and then we will be doing hardwood and taking up carpets soon. But the things I am excited most about are sharing the little accents. 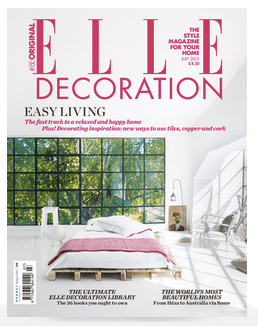 I have recently been reading a ton of home decor magazines and fell in love with Elle Decoration Magazine, where have I been hiding. Oh the ideas are pouring out of me now. 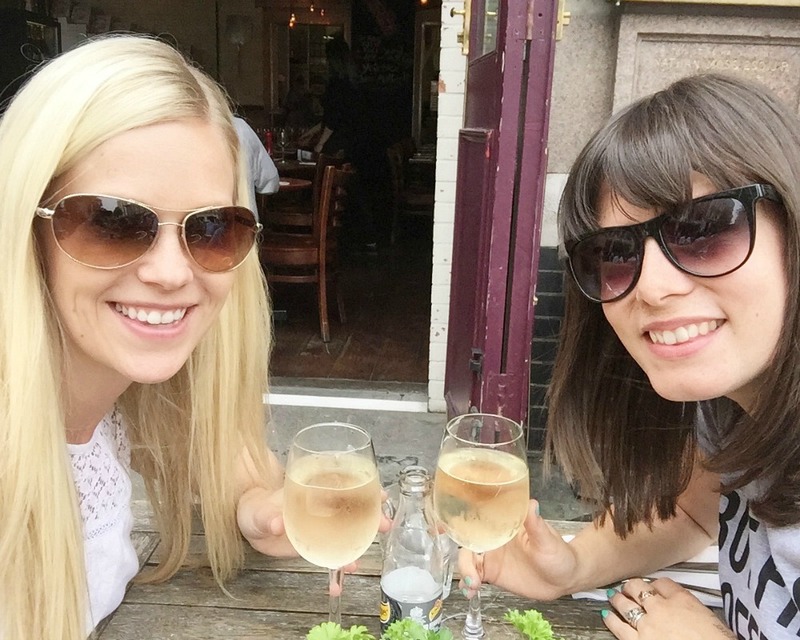 Have you heard episode two of My Expat Life is now live. I am enjoying the questions flooding in from twitter and facebook from all of you. Please keep them coming and nothing is off limits it’s a series of an expat life and that means all cards are on the table. We had a lovely family break at Alton Towers the week before last and I have been watching our videos and pouring over photos of our weekend away there. I enjoyed relaxing back with Mr P and watching the kids come to life in the water. They are true fishes like their momma. It’s a great place that you can just let them run wild and free and my two are happiest when they can do just that. The sun peaked out for a few days and I got to bring some of my new summer wardrobe out. 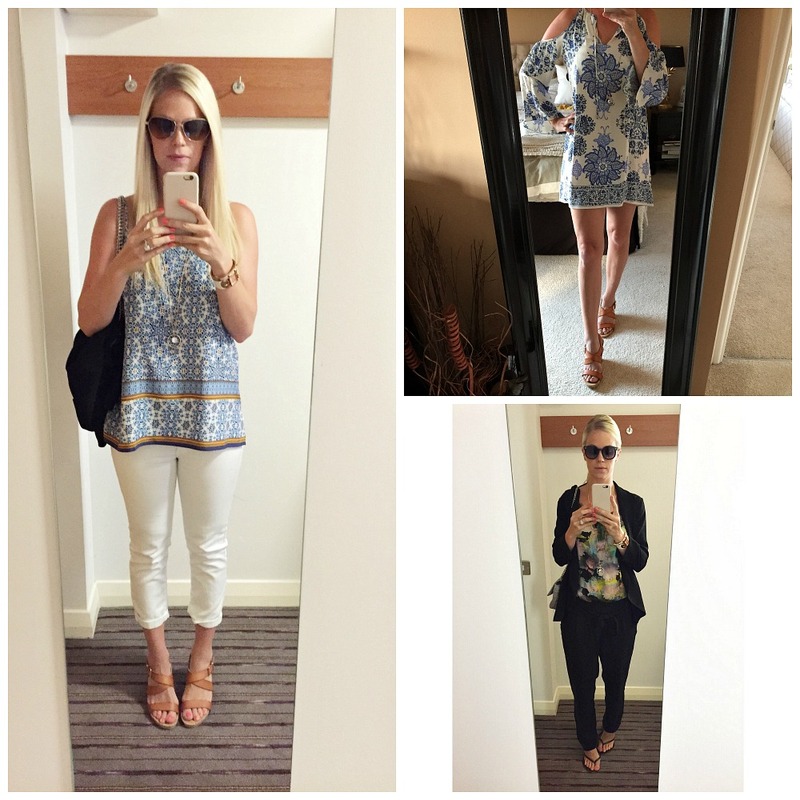 I also attended Blogtacular which is always a great excuse to try new outfits out. I have been so busy that I haven’t had a chance to even write up my recipe from the precious week nor have I had a chance to cook or bake at all this week which is completely unlike me. I can’t wait to get in my momma’s kitchen next week and start hashing out recipes left and right. So watch this space. 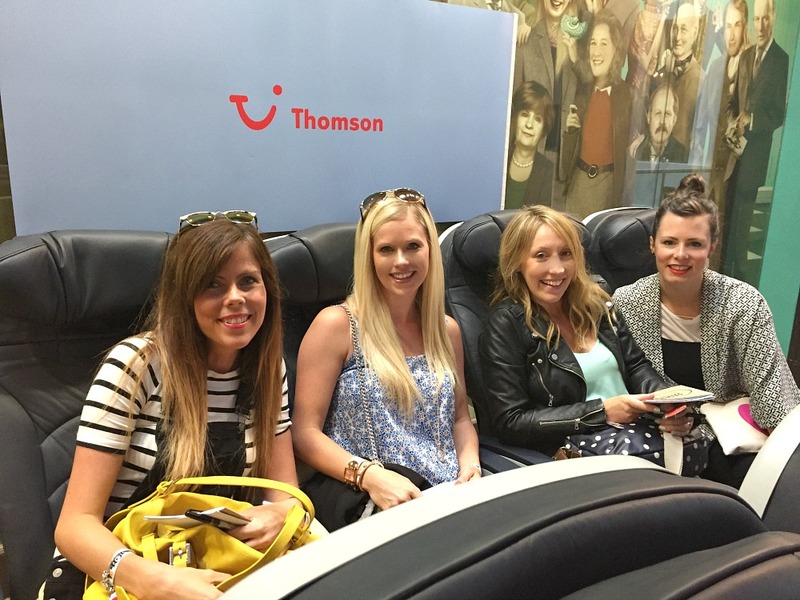 As mentioned I attended the 2015 Blogtacular conference for bloggers. Those that don’t know it’s a conference for the more creative side of things. There is crafts, sparkle, design, and glitter galore. It is probably my favorite conference I have ever gone to and I won’t be missing next year’s either. I went feeling a bit blah about my blog and my space online and where I wanted it to go and what I wanted it to be. I came home flooding with ideas, new knowledge and a to do list that will take me all summer to accomplish. I am excited to see how these changes will help me and how they will make me feel about my blog in the end. I can’t wait to share them all with you. The conference wasn’t just amazing for all the knowledge I came home with and inspiration I felt from the speakers but it was also a great time with close friends and making new ones. Since it wasn’t a parent blogging conference I probably only knew a handful of people and the rest it was lovely to get to know. I love being around people that understand what I do and why I have a passion for it. 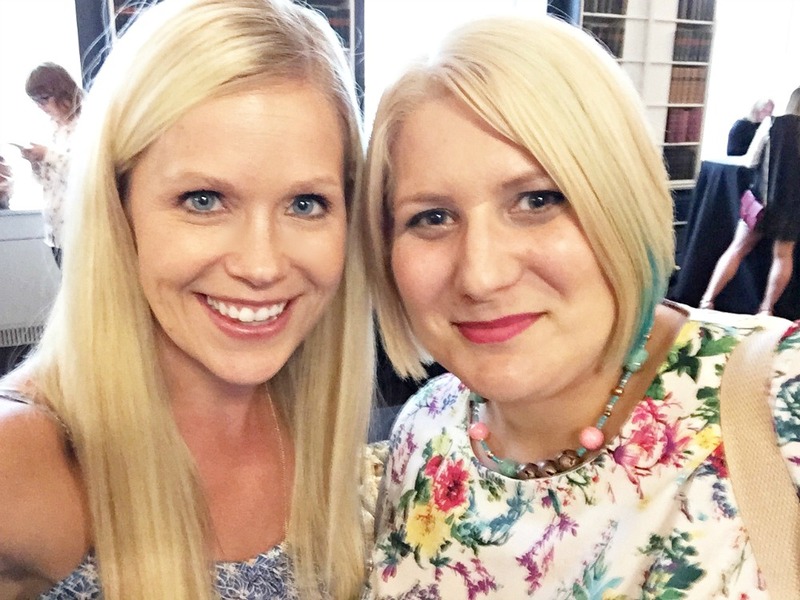 It was great to meet Kara finally a lovely lady who supports me and my blog so much. She is just as lovable online as she is offline. Big hugs Kara! There were so many inspiring lovely ladies I met that day wish I could list them all here. I stayed with my partner in crime Morgana, your beautiful host and owner of Little & Fierce. (I may even be strutting MM’s #littlefiercekids sunglasses in the photo above) as well as my two amazing friends Lucy and Katie. 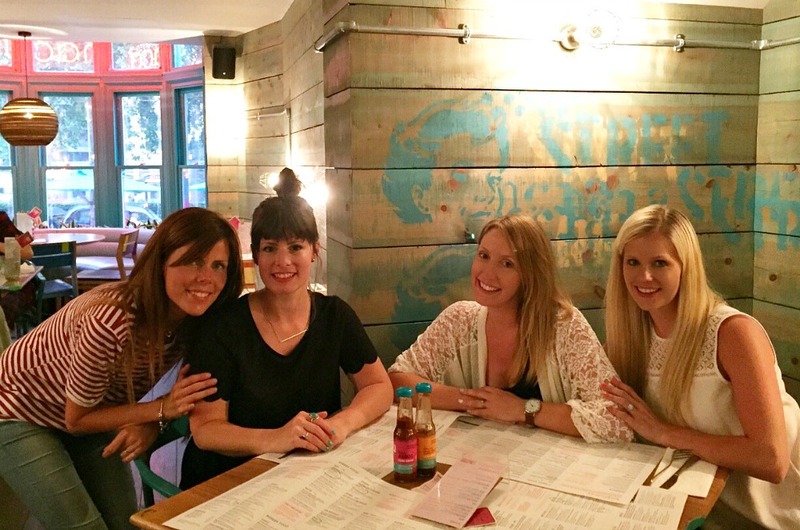 Every time I get together with these girls I feel so blessed that blogging has brought me such supportive, loving, amazing friends in my life at a time I really needed them. They truly have been my rocks this year and I can’t thank them enough for everything especially their friendship. I have said before blogging has changed my life and it really has and I couldn’t be more happier with my expat life than I am at this moment. If you haven’t had a chance please VOTE for Let’s Talk Mommy for Best Family Fun in the MAD Blog Awards. I would love your support, voting ends soon. Aww it must be so exciting getting ready to go back to the states for awhile. I would be super excited to see my family even though mine only live 250 miles away, I know how tough it is not having them nearby. I hope you all have a wonderful time. Exciting to be getting some renovations too. I can’t wait to see what it looks like when it’s done, if you are sharing of course. I can imagine you have really good taste so I bet it will look amazing. Have a safe trip!! It really is and the packing as now officially started. I have never packed this early but want to make sure not to forget anything or be stressed out either. lol Of course I will be sharing. I did have a plan to finish it all before we left but you know how those plans never work out. Thanks hunny. Have a fab trip Jenny. I adored all the pics last year so can’t wait to see it. I’ll be an emotional wreck when it comes to saying goodbye to nursery. It’s so so emotional seeing our babies grow up. Beautiful. But emotional. Thank you Sian. I can’t wait. Oh I really was so emotional saying goodbye. I won’t be crying when he starts school because that’s a new adventure but leaving nursery was sad. They grow up way too fast. Thank you Izzie we will have a good for to remember. Thanks hun it sounds more lavish then you think. It’s just my parents house, living in the same room out of a suitcase for two months still cooking and cleaning and working fulltime like normal. So not really a vacation vacation. lol I hope I can get my blog how I want it by September it’s long over due. Blogtacular sounds amazing.. Photos are gorgeous.. I really do wish you a wonderful time in America, cannot wait to hear all about it! Looks like a manic time recently, but will be nice for you to get home and spend lots of time with your family. Looking forward to hearing about your US adventures. Blogtacular’s definitely on my list for next year. I’ve always done Britmums which I love, but it’s always too close to do both. So next year will have some decisions to make! Oh yes it will be nice and I am taking the first two weeks off work to be with hubby while he is there and then he comes back so I am really looking forward to it. It’s hard to do both that’s why I couldn’t but next year I just might if they don’t do it back to back again. Blog conferences have a way of making you feel rejuvenated! I attended two last year and it really motivated me to make changes. Plus meeting like minded people was amazing. Enjoy you trip with the kids! Can’t say I’m not jealous! I agree, meeting like minded people is inspiring in itself. Love the conferences and only wish I could make them all. I do really wish they would spread them out a bit. Seem to always be back to back. Thanks hunny. Thanks Jess I can’t wait to be there and share it with everyone too. It’s going to be hot one looks like too. What a lovely round up of #littleloves! Hope you are getting a chance to breath in prep for your trip! I can only imagine how excited you are to see your family! I love your outfits, especially the first pic, what a beautiful top! 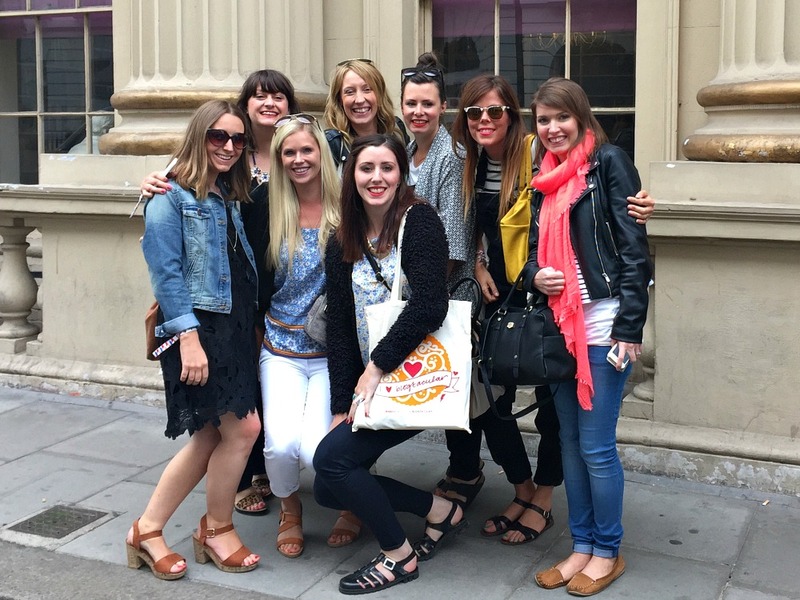 Looks like ye had a great time at blogtacular, I hope to go next year! Have a great time in the US. We always celebrate Canada Day as a hangover from when we lived there, but this year the nearest Saturday is the 4th, so we’ll be doing Independence Day too. Any excuse for a party. I’m loving collecting ideas from Pinterest! Thank you Clare, we are here now and loving every minute of it. Oh I am looking forward to the fourth of July this weekend too. Happy 4th! Blogtacular was so good, wasn’t it? Loved spending time with you, as ever! I hope you have an awesome summer trip 🙂 Visiting with family is great, even though I’m not out of the country, I’m out of state from my parents and I’m looking forward to visiting them this summer as well.